Ace filmmaker Mani Ratnam's next yet-untitled Tamil film will be a revenge drama in which actors Karthi and Dulquer Salmaan will be pitted against each other. "It's going to be a revenge drama that will be based on the theme that revenge is not the ultimate solution. 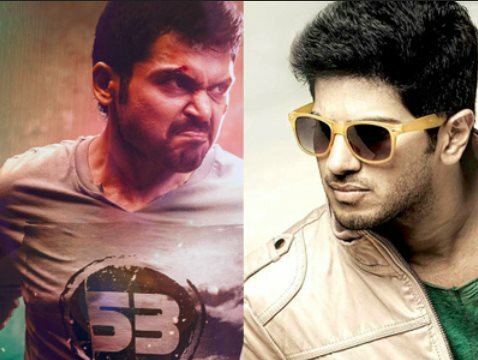 Both Karthi and Dulquer Salmaan will lock horns in the film," a source from the film's unit told. Malayalam actress Keerthy Suresh has been finalized as one of the leading ladies, while Ratnam is busy finalising the second heroine. "The regular shooting of the film will start from December or early next year. It'll be wrapped up in three months," the source said. Cinematographer Ravi Varman and A.R. Rahman are already part of the project.